To all members who have never participated in a mountain bike race. I was coerced into participating in a race years ago and I have done a few over the years since then. I needed some prodding before I actually signed up for the first time. 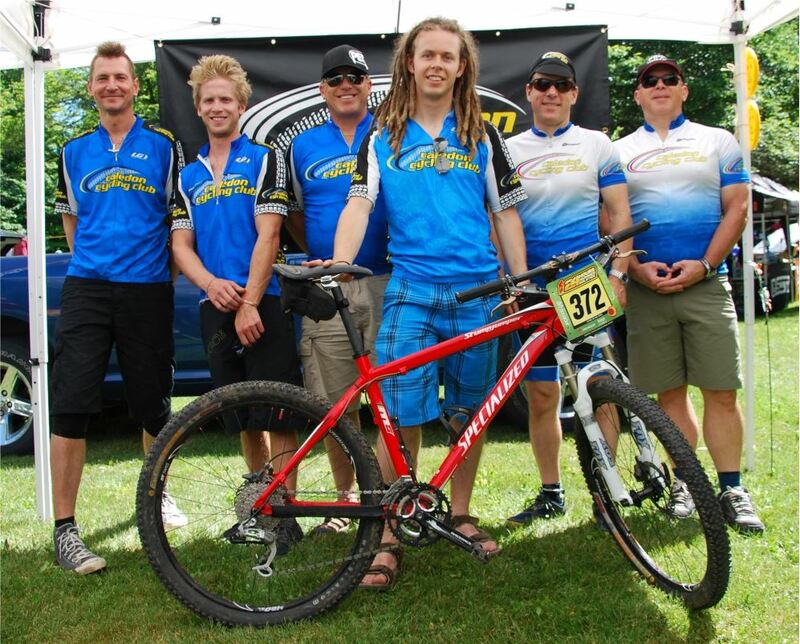 Pulse Racing puts on a great mountain bike event annually out of the Hardwood Ski and Bike Centre just north of Barrie. The next event is called; Summer Epic 8 Hour – Roots, Rocks & Reggae. It takes place on Saturday, July 23rd. The course is about 10km of single and double track and as a team you take turns completing laps. The point is how many you can do as a team in 8 hours. This is a citizen’s event and while any race is competitive in nature, every caliber of rider can participate and do so at whatever level they feel comfortable. If you’re game, I’m willing to captain a team of first time racers. You will experience a great day on your bike. Friends and family are welcome to come and cheer us on. The cost for a 5 to 6 person relay team is $350.00. On a per person basis (6 people) the cost is $58.50. The first 400 registered get a race souvenir (usually a t-shirt, socks or a hat). Each team member gets a souvenir number plate and is entered into the grand prize draw for $1,000 Trek Store Credit. You have the opportunity to experience an awesome race course on some of Ontario’s best trails! This is for first time racers only. I will need to know if you’re in no later than Friday, July 8. If you have any questions, send me an email or flag me down on a Monday or Wednesday night ride.